I know, the Carbis Bay 1 picture did look impossibly blue, didn’t it? I blame the camera on my phone for that…. or maybe it was impossibly blue that morning? 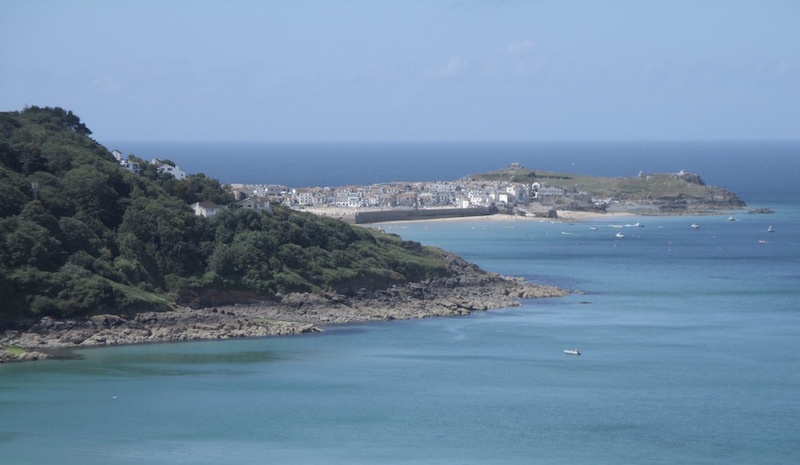 Meanwhile, here are some more pictures from Cornwall, taken with my normal point and shoot camera. 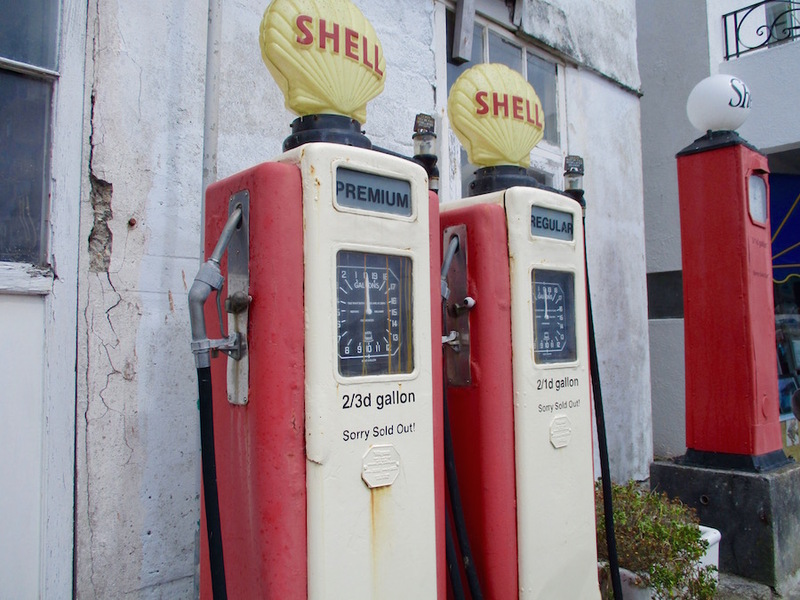 For those who like to look at old petrol pumps from the perspective of a short person…. Admiring the calligraphy on an old certificate…. 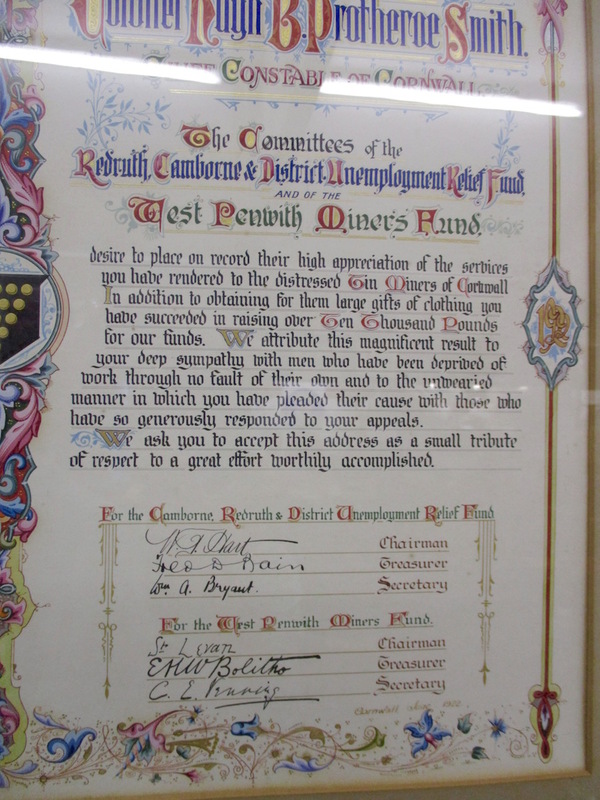 Certificate at the Redruth Old Cornwall Society Museum at Tolgus Mill. Right, I have been back a week, done my laundry etc, I think it’s time to find out what Harold and Charmaine have been doing in my absence…. This entry was posted in Personal and tagged calligraphy, competition results, Cornwall, Mevagissey, St Ives, St Mawes on July 15, 2015 by Scarlet. Old Petrol Pumps in St Moor’s? Mwoor hoor hoor hoor hoor hooooor! P.P.S. Congratulations all you winners!! I didn’t miss anyone out, did I?? Being bewitched has made me moor-ful..
Away with your moor spell, Mr Devine!! Or I will think of some spells of my own. I’ve tried to contain it, Ms Scarlet, but someone ::glares at LX:: didn’t put the lid on properly after they used it, so now it’s loose! Please pass the smelling salts, I am now going to retire to a darkened room… there has been far too much excitement today. It’s okay, Monsieur Pain, I understand that you are having a difficult time right now. Are you breathing in omelette fumes, or something worse? Yes. Much worse. My humility. OMG! OMG! OMG! I WON! Since there are multiple winners and I am already proudly display an Original Miss Scarlet next to my computer, I can forgo the prize if that will be more convenient. Unless, of course, the work is farmed out and it is an Original Charmaine or Original Harold instead, then please send it ASAP to add to my collection! I am hoping for a complete set eventually! I will have a word with Charmaine, she is a very willing girl. I’ve still got those smelling salts from when you won the “name the gerbil” competition, LX. Do you need some? My previous comment vanished. ??? Well… if you go around using the Moor spell willy-nilly, then YES, things with probably vanish… especially as there is now a counter spell out there in the ether. Yes, you heard me… a spell that counts! A counting spell is good actually — I’m bad at math myself! Oh, wait! There it is! Sorry. Very well, Grouchy, I will get to work on this immediately… we could be quite a team. Do you know there is a wikipedia page about this rhyme? How many did you met on your way there? Holds head in hands and sobs dramatically. The Moor spell was accidently unleashed in the comments box of my latest post, Mago. Unfortunately, Ms Scarlet came a cropper, with poor- I mean, ‘Moor’ LX also getting a dose. P.S. LX: I’ve just noticed that even your avatar name has been nobbled! Oh dear, IDV was so close … What is a “moor-spell” ? 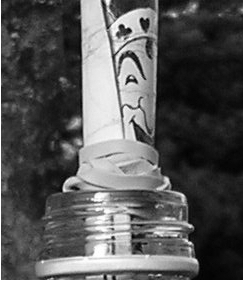 I’m curious, and it’s ages since I worked on spells, just the usual so no mud (“Moor”) involved, but I found it exhausting after all, one really has to put something in it to make it work, nah I’m done with black magick, just the occasional candle work and a bit of meditating here. 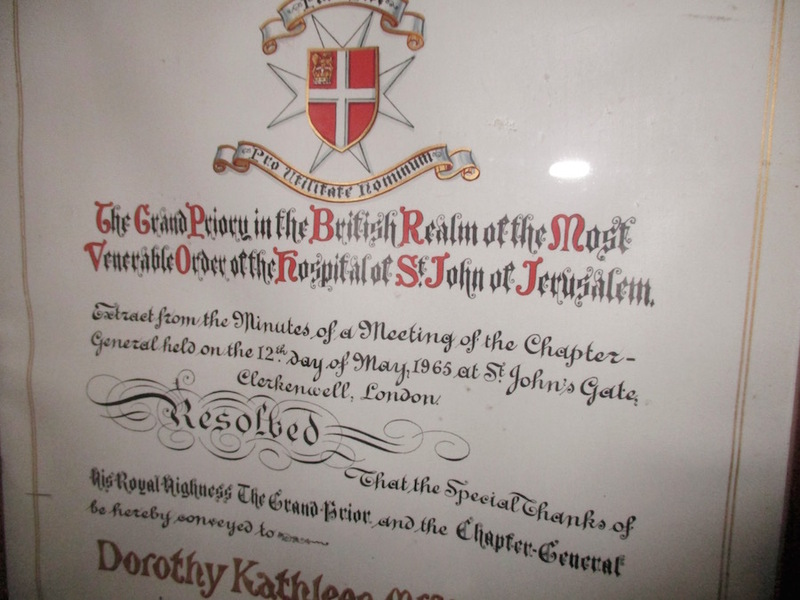 Great to see the certificate in the last picture, The Most Venerable Order of the Hospital of St.John in Jerusalem is brothers with the order I work for here, I wear the white cross with eight points every day. Regarding the pictures – I was very unsure with the other pictures (waves, greens, blues etc. ), but the contrast on the last one (script versus background) was too good to be true, in my opinion. Congratulations to all who took part ! These pumps – especially the one on the right – look a bit like cenotaphs. I’ll send an email to you, and thank You very much for declaring me a winner *blush* ! Oops! I clicked in the wrong reply box. I meant to put that one above here, instead. So we are in the midst of what later will be known as the big moor craze of ’15 or “Scarlet’s moor”. I can no longer keep up with you, Mr Devine…. have you turbo charged your broomstick? You are a very worthy winner, Mr Mags! ‘Scarlet’s Moor’… I like it… it has the whiff of a romantic novel about it, and the hint of a ripped bodice. The British knights, the Netherlandish, Swedish & German parts form an alliance of mutual recognition, together with the original Malteser (catholic), that is the roof of the order of St. John. Historically this organisation dates back to the crusade, for the German part it becomes a bit fragile in the beginning of the 19th century, but continuity (personal too) is given. The British St.John ambulance organisation has a German counterpart in the Johanniter-Unfallhilfe (JUH). The German order (Johanniter) runs hospitals, care homes, ambulances – you name it. Nowadays it has the dimension of a pretty large enterprise, but is non-profit, based on donations and the order has the last say in all decisions. There are not many (German) knights, less than 4000 worldwide, and they distinguish between those honoris causa and those who really have a say (Rechtsritter, knights by law). The Malteser have an unbroken tradition – and even a stately territory – must be the smallest state on earth. Indeed, Mr Mags, I have always had the greatest respect for the St John’s Ambulance Service. Meanwhile, my hint of a ripped bodice has gone completely unnoticed. Ha! Well that’s put me straight! Never mind, I will move forward a few decades and try to do something with a girdle. Petrol at 2/1d a gallon? Those were the days. 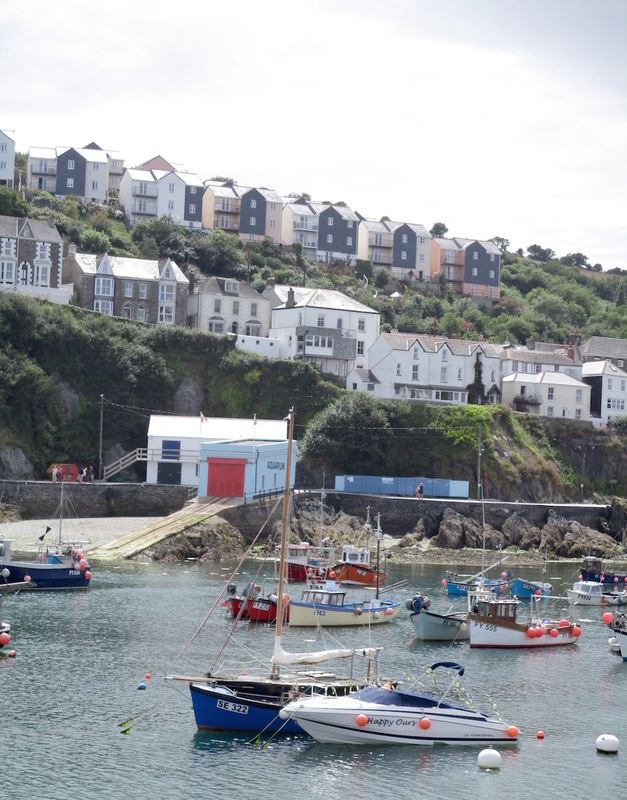 Not Carbis Bay 1? We demand a recount. Yes, nick, 1922. Yes they did well to raise that money… especially as they didn’t have the money raising methods that we have these days, such as big televised events. The 1922 £10,000 is the equivalent of £437,107.80 today. Ooh…magick on the moor. It’s like Othello meets Macbeth, innit? And I thought those old Shell pumps were cenotaph-like,too. Now I’ll have to go back and look at the pictures again…. Enough Dinah!!! Don’t encourage them! I was perplexed by Bill and his numbers and then Shakespeare turned up!! One day I might read Shakespeare, and learn how to do maths. The movie Kingdom of Heaven has a main supporting character who is a Hospitaller Knight. He is easy to spot as he wears a black tunic and cloak with the white eight-point cross. Wow, really was impossibly blue. Yes… I blame my Nokia phone for the blue, Ms Rose, but the light is intense in Cornwall. Bit late but loved the photos. You’re never too late, Pat!